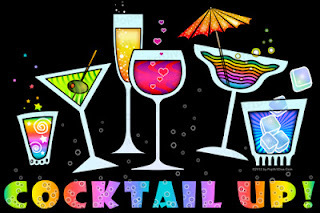 NEW COCKTAIL ART - COCKTAIL UP! 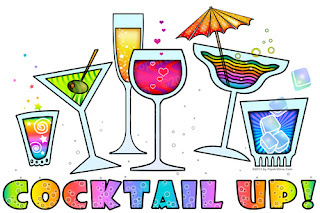 My latest cocktail art is a playful illustration of a bar full of the various cocktail glasses filled with a party full of drinks in a rainbow of colors in a whimsical and colorful style. Three Variations of the design give you a multitude different choices, you can have just the glasses or just the "cocktail up" text or a combination of both. You can have just the saying "Cocktail Up" or just the cocktail glasses or both on a wide variety of products for wardrobe, office, home and gifts! 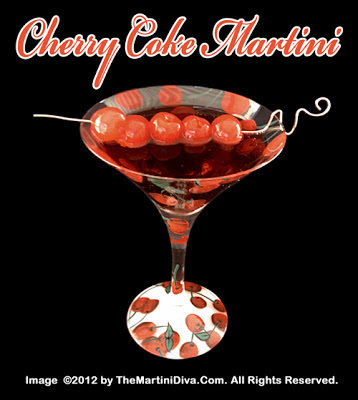 From posters and canvas prints, tees & hoodies, fashionable bags & totes, computer cases & skins, fun home and kitchen products like pillows, coasters, napkins and pitchers (which are perfect for stirring up some of my Martini Recipes! ), glasses and cups, all variety of business and personal stationery items and even some playing cards or a dart board! HAPPY CARBONATED CAFFEINATED BEVERAGE DAY! Today is Carbonated Caffeinated Beverage Day. To me and most of the soda drinking public this means Coke, Pepsi, RC or some generic cola. For some reason (probably branding), my friends, myself and my family all called every cola a "coke", but I digress. Once upon a time this syrup and soda combo would have been handed to us from a genuine soda fountain - where the soda met the syrup and bubbly sweetness burst forth in a glass. These days we get it from a bottle or a can or a plastic container but anyway you look at it, you have a carbonated, caffeinated beverage in your hand. Happy Carboated Caffeinated Beverage Day! Fall is firmly in place, Halloween has come and gone, there's a decided nip in the air and that all means it's time to start planning and drinking Thanksgiving libations. I don't know about you, but when I think about Thanksgiving, I think about the Fall flavors of pumpkin, cranberries, apples and pomegranates. Seasonal fruits and produce bring with them specific nourishment and nutrients that the human body requires at that time of year. Even though we can often get this produce from other parts of the world at other times of the year, it's the things that grow locally during each season that are the most beneficial for you health wise. This is why I like to create cocktails that incorporate those locally sourced and seasonal products. 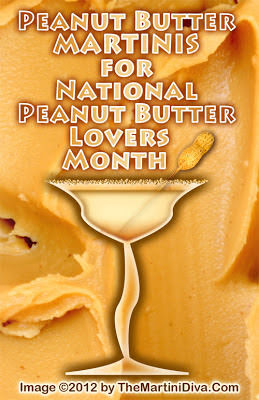 Below you will find my recipes that make use of the seasonal flavors. Though not all are necessarily crafted specifically for Thanksgiving, most can be tweaked for Turkey Day events and celebrations by simply adding a holiday garnish or maybe a seasonal spice or two. Many can also be served heated and/or batched to enjoy as punch. 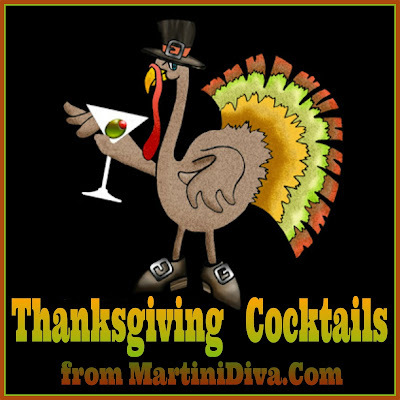 Have a great Thanksgiving season and don't hesitate to ask for suggestions on how to Thanksgiving up your cocktails. 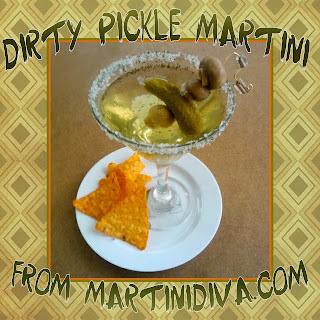 What's more appropriate for National Pickle Day then a Pickle Martini or a Dirty Pickle Martini? 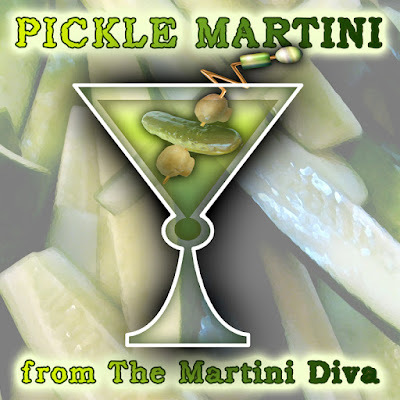 After all, they're just a classic Martini made with pickles and pickle juice, instead of olives and olive juice! Like Mikey says, "Try it, you'll like it." - especially if you're fond of dill pickles. 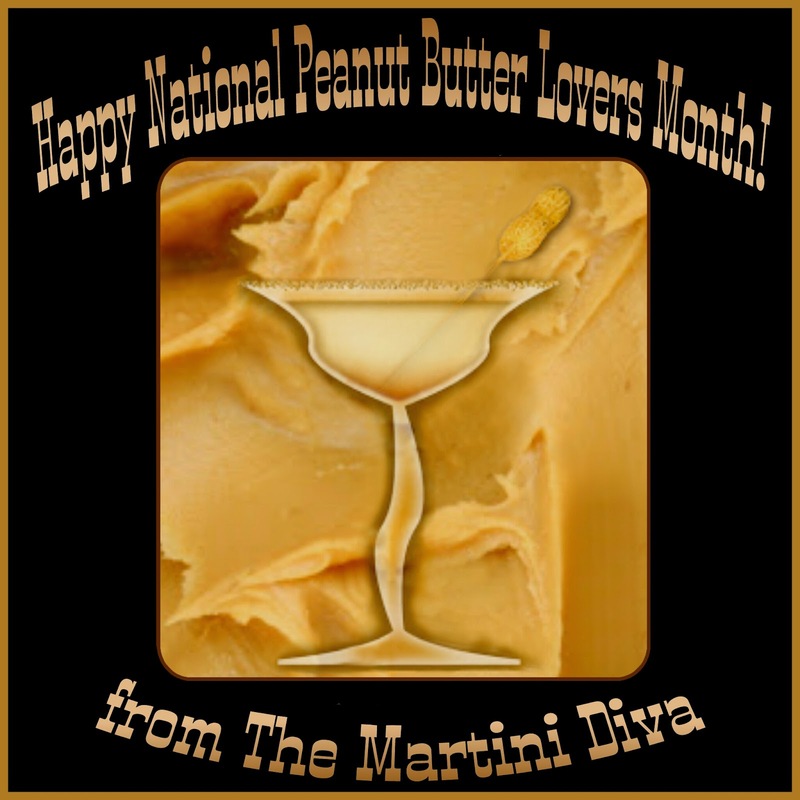 Cheers, and Happy National Pickle (Martini) Day! Go drink yourself out of a few pickles.